(France) – Famous artist and painter Guillaume Bottazzi, presents first lighting collection Evanescence, designed to contribute to sense of wellbeing. The sober design of the Evanescence collection of lights serves an elegant, poetic vision. These creations give us space to breathe and embody the artist’s connection with Japan where he has worked in since 2004. 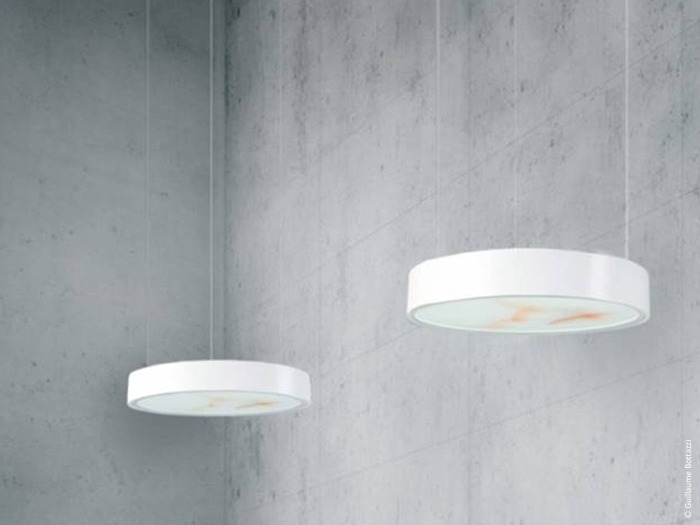 This collection uses baked, transparent inks and is available in five designs from a range of around 70 products, including suspended lights, integrated lighting, ceiling, and wall lights.